We’re working with Shoe Carnival in their search for a Director of Ecommerce in Evansville, IN. Shoe Carnival is a chain of over 417 footwear stores located across 35 states. 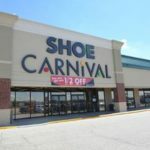 Combining value pricing with a highly entertaining store format, Shoe Carnival is a leading retailer of name brand and private label footwear for the entire family. First things first: Evansville rocks. 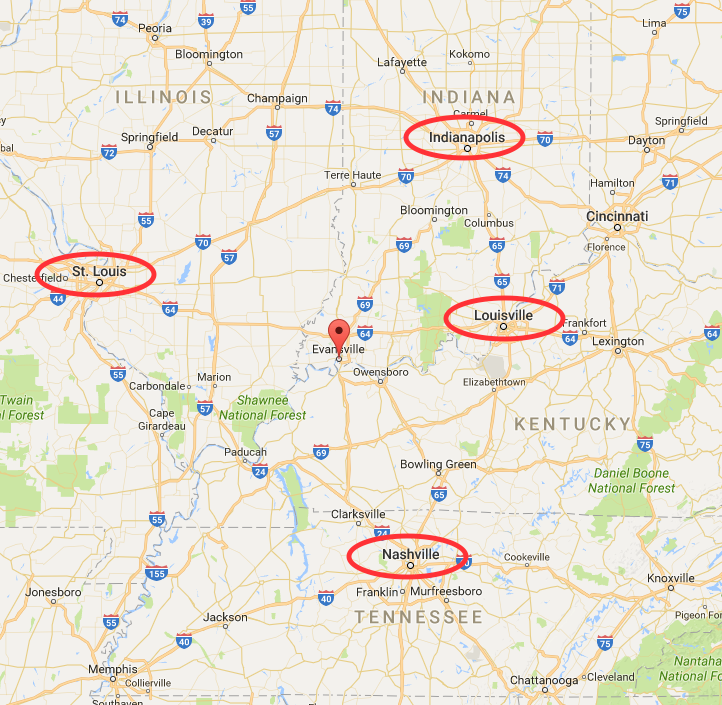 The home of rocker John Mellancamp, Evansville is the third largest city in Indiana and it lies within a 200 mile radius of four major metropolitan cities: Indianapolis, Nashville, Louisville, and St. Louis. It’s not in the middle of nowhere. It’s the heart of the midwest — and it has America’s second lowest cost of living. The US shoe store industry includes ~25K stores with annual revenue of about $37 billion. Demand is driven by new styles and personal income. Profitability hinges on smart merchandising and competitive pricing. National chains like Shoe Carnival have advantages in purchasing, distribution, and marketing — while regional and local chains compete by stocking specialty products and localizing customer service. Shoe Carnival eclipsed $1 billion in sales last year, up from $800 million just 3 years ago. The retailer has momentarily paused store growth while they implement a world-class CRM strategy, and expects to begin looking at new store opportunities in the next 12-18 months. The company has nearly tripled in size in the past 13 years, and every major metric is headed in the right direction: Number of stores; Sales; Revenue growth; number of states with stores; number of employees; and more. Shoe Carnival is poised for growth over the next 5-years, and Ecommerce will be a major part of that strategy. Shoe Carnival has NO DEBT and plenty of cash in the bank. This shopping-as-entertainment concept has worked like a charm because consumers WANT a gratifying shopping experience (duh!) with a retailer that actually gets smarter about their needs and values each time they touch it. Omnichannel is the foundation of SC’s value prop, and digital marketing is a critical enabler. Think of this role as a GM of Ecommerce. This role centers on running the day-to-day of ecommerce and owning SCVL’s ecommerce P&L. Ecommerce is hugely important to the company, and we are looking for a proven marketing oriented technologist to manage its digital business. Given that SCVL’s bench is loaded with great marketing talent, your primary responsibility will be to identify opportunities to improve conversion and make analytically biased decisions regarding UX, mobile first omnichannel CX, vendor management, and much more. The firm’s new ecommerce platform has been live for a year, but it’s UX needs to be optimized for conversion. That’d fall to your team to make happen. Additionally, you’ll find yourself working with SCVL’s merchant teams to optimize the firm’s online assortment. And, as is the challenge with so many apparel retailers, your team will need to personalize the experience to suit the assortment. Bottom line: Your job is to GROW THE BUSINESS by getting the right offer on the right product in front of the right customer at the right place on the right device at the right time. Easy to say; Tricky to do. And on the issues and initiatives that are truly multichannel in nature — you won’t be developing strategies in a silo. You’ll be working with world class executives from other departments, trying to build the best possible customer experience. In that sense, ShoeCarnival.com is just one part of a larger puzzle. We have a massive amount of proprietary intel to share with qualified candidates. Our industry research for this assignment exceeds 50 pages! Be sure to TEXT Allan Seibert at (706) 318-1196 for this info. Or simply use the email link when you apply for the role below. Manage the product merchandising activities of the Shoe Carnival ecommerce experience with the goal of driving business growth in support of our ecommerce and omnichannel merchandising strategies. Applications for this position are being coordinated by Allan Seibert. To apply, CLICK HERE. Candidates, please be sure to email Allan for additional information that will differentiate you in your candidacy.